Frozen Shoulder is a very painful condition in which the shoulder freezes up and becomes stiff. Frozen Shoulder may or may not be due to trauma. People with diabetes, thyroid dysfunction or gout are more commonly affected. While the reason Frozen Shoulder happens in many people is unclear (many physicians blame a virus), we do know that Frozen Shoulder is an inflammatory condition and is often due to an underlying Rotator Cuff problem. A Frozen Shoulder may go through different phases. Classically, the ‘Freezing’ phase lasts roughly 3-9 months. This phase is marked by a painful loss of motion. The ‘Frozen’ phase can last for 4-12 months or longer. During this phase the pain is less and the shoulder remains stiff. Some shoulders may then ‘thaw’ over 1-4 years, during which time motion improves, but not necessarily completely. If untreated, the average amount of time for the shoulder to go through this cycle before comfort and some motion returns is 2.5 years. If untreated, 7-42% of patients will have significant permanent stiffness from Frozen Shoulder. In my opinion the best way to treat a Frozen Shoulder is to ‘hit it early and hit it hard’. The earlier it’s treated, the better. I inject a steroid (cortisone) into the shoulder and prescribe a Medrol dose pack (steroids taken by mouth) for 6 days. While long-term steroids can potentially lead to ulcers or arthritis, that is incredibly rare from a 6-day Medrol dose pack. The real side effects include increased appetite and water retention, so there may be some slight weight gain. Steroids by mouth can keep some people from sleeping well at night, so I also prescribe a sleeping pill along with it. The third, very important, part of treatment is therapy, which is optimally performed 3 days/week until motion improves. The therapist will use ultrasound on the shoulder to heat it up and then perform stretching exercises. In addition, Rotator Cuff strengthening exercises with an elastic resistance (Isotube) are prescribed, as the Rotator Cuff is often involved as an underlying issue. It is extremely important to perform a home stretching and strengthening program on a daily basis. It’s best if the steroid injection, Medrol dose pack and shoulder therapy all occur at roughly the same time. The vast majority of my patients who follow these instructions improve significantly, and can attain full or near-full motion within 1-2 months. 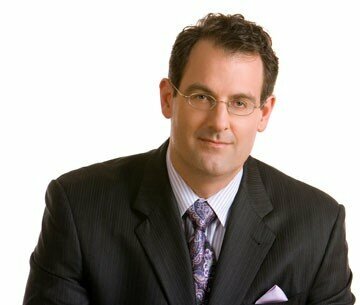 Very few patients require surgery for Frozen Shoulder. 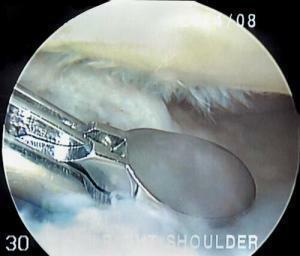 However, if 3-6 months of non-operative treatment is unsuccessful, an Arthroscopic Shoulder Release may be considered. While some older surgeons used to recommend a Manipulation Under Anesthesia, this procedure is usually not enough. In most cases, if a Manipulation is all that’s needed, then a good non-operative management program would have probably been successful without going through the Manipulation. The most effective surgical treatment for Frozen Shoulder is an Arthroscopic Capsular Release, in which a small scissor-like instrument is used to cut the joint capsule (balloon) around the shoulder joint. This allows the cut edges of the capsule to separate, increasing the volume in the shoulder, and allowing for a greater range of motion. Post-operative therapy is critical and begins within 2-3 days. Therapy with a knowledgeable therapist is performed 5 days a week for 4 weeks, and then decreased over the next couple of months, depending on how motion progresses. 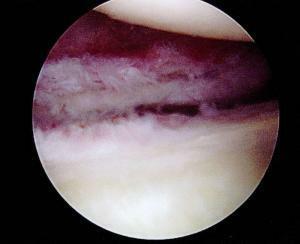 Arthroscopic Capsular Release leads to normal or near normal motion with minimal pain in 75-83%. The prognosis is better for patients who have experienced stiffness for less than 6 months. Patients with Frozen Shoulders following shoulder surgery or a shoulder fracture typically have a more complex and severe problem that often requires an open incision to release additional scarred tissue planes. The treatment of these problems often has less satisfactory results. That’s one reason why the first surgical procedure performed often sets the tone for the ultimate outcome and should be done by a Shoulder or Upper Extremity Specialist. 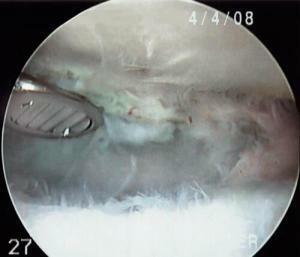 In addition, any inflamed tissue and pathologic rotator cuff tissue (tendinosis) is removed. After the joint capsule has been released, a Manipulation is then performed. Once the shoulder’s joint capsule has been released, the manipulation is less traumatic and more effective.